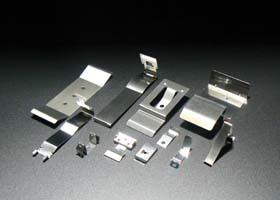 Metal joints for construction materials. 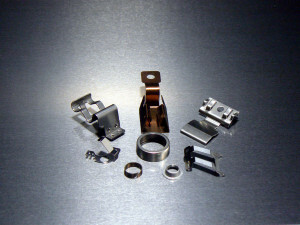 Those materials have high corrosion resistance with disgo treatment on special steel. for the hood of extractor fan. 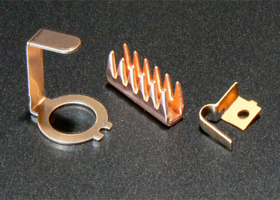 These are the general examples of processed flat/blade springs. 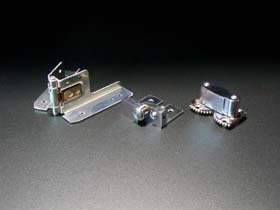 The feature of our hinges is to be equipped with outer/inner folding proof. 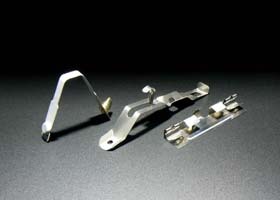 We supply terminals for lighting equipment, contact points of batteries, and so forth by press working. 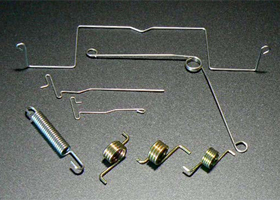 We supply various wire springs such for personal ornaments, shaft of fishing lures, and kick springs for construction machineries. 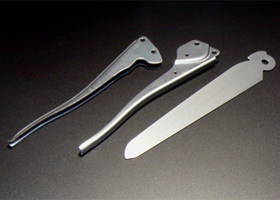 We supply pressed tools made of special steels such as crimping tools, saw blades, and so forth. 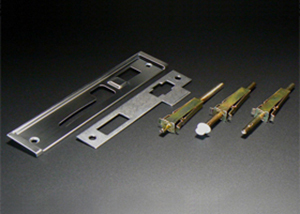 Upon processing crimping tools, we've suggested press process on the gear parts that was usually processed by machining in the past. And that has reduced the cost and accepted by a customer. 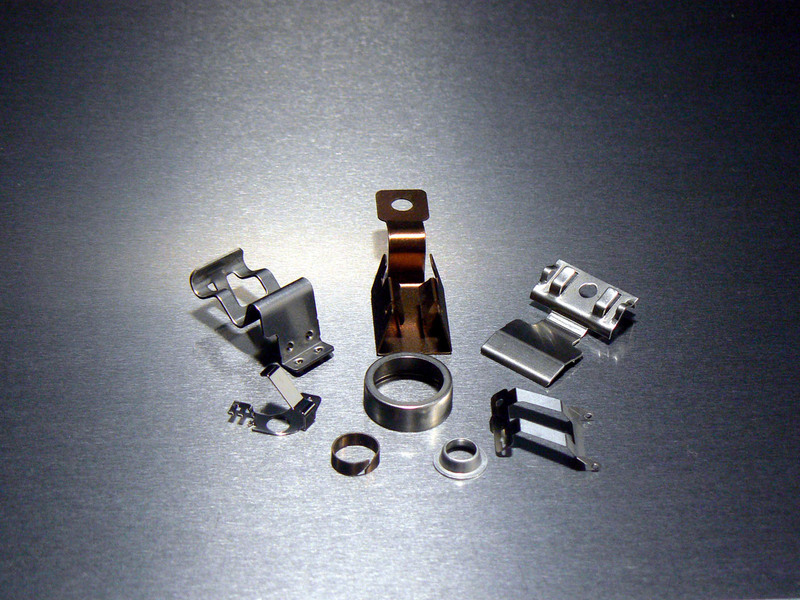 We supply press processed metal parts for strike front of entrance door, closet door, lock parts, and so forth. 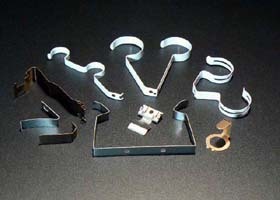 And we are capable to assemble them. Strike front' is processed in multiple ways such as bending and drawing, which has been having a problem with breaking blue protective sticker, however, we've improved the process by adjusting contact pressure on the molds and now it has less problem.